This book is the perfect resource tool for creating, implementing, and understanding how to integrate an Integrated Disability Management Program with other workplace programs, and provide proven management solutions to Canadian employers. Soaring disability costs can take a big chunk out of company profits. The good news is that Integrated Disability Management Programs can reduce disability costs by 19%-25%, and employee benefit costs by 15%-35%.  The Sixth Edition of Disability Management – Theory, Strategy and Industry Practice is the perfect resource tool for creating, implementing, and understanding how to integrate an Integrated Disability Management Program with other workplace programs, and provide proven management solutions to Canadian employers. Dianne E.G. Dyck (RN, BN, MSc, COHN(C), CRSP has a comprehensive background in the development and management of occupational health services, disability management programs and attendance management programs. Her areas of specialization include occupational health & safety, disability management programs, and the design and implementation of computerized occupational/health information systems. 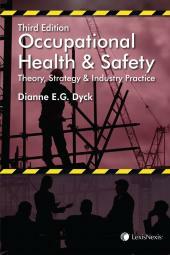 Ms. Dyck provides consulting services to many Canadian organizations through Progressive Health & Safety Consulting.